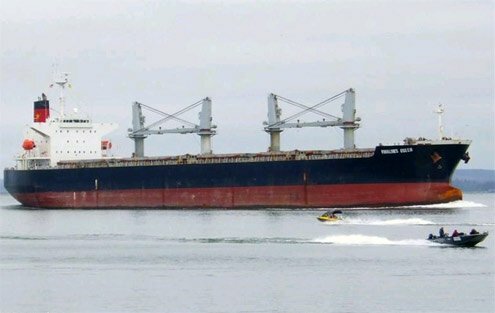 VietNamNet Bridge - After three days of unsuccessful search for the Vietnamese cargo ship, Vinalines Queen, the Philippines and Japan stopped using helicopters in their search and rescue operations as of December 29. Nguyen Anh Vu, General Director of the Vietnam Maritime Search and Rescue Co-ordination Centre said that the Vietnam Shipping Lines Group (Vinalines) and his center have kept contact with ships operating near the area where the vessel was reported missing and asked for their support to find the trace of oil spill. 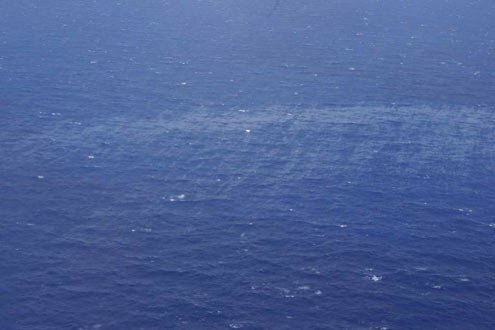 They have also worked closely with international organizations to update information about the Vinalines Queen, which has disappeared since December 25, without any trace, just oil streaks. Experts argued that the missing ship might have sunk due to a huge amount of nickel ore absorbing the sea water and causing an imbalance for the ship, or it was seized by pirates. The oil streaks left by the ship. There is still little hope for rescuing the ship as the Vietnam Maritime Search and Rescue Co-ordination Center has not received any signal, automatically sent from the ship when it is in an emergency. “In searching Vinalines Queen, we always consider the worst case. In history, some ships re-appeared after many days of losing contact but such cases are very rare,” Vu said. He said that in case Vinalines was sunken, it is unable to fish out the ship because the area where the ship met accident is up to 5,000m deep. Vinalines Queen, with 23 sailors and more than 54,000 tons of nickel ore on December 25, lost contact after passing northeast of the Philippine's Luzon Island heading to Ningde port in China from the Indonesian port of Morowali. Bad weather has so far prevented ships from accessing the area where the vessel lost contact.